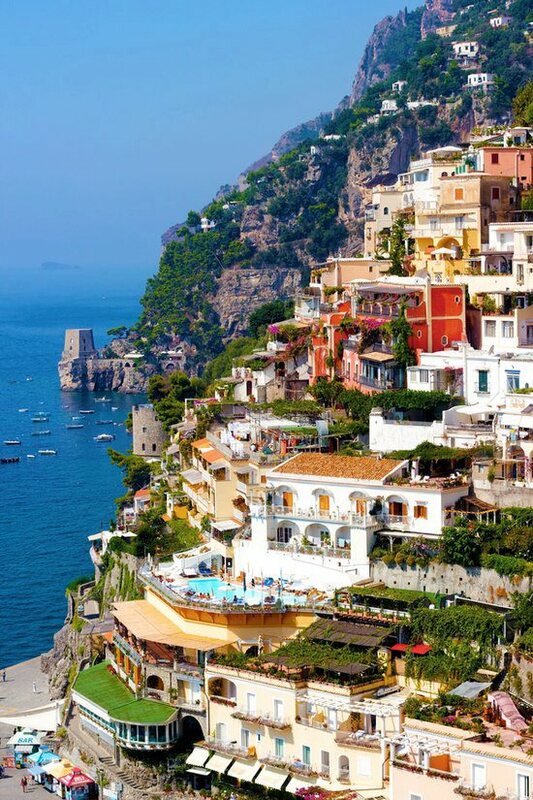 Positano is a village and comune on the Amalfi Coast, in Campania, Italy. The main part of the city sits in an enclave in the hills leading down to the coast. Positano has been featured in several films, including Only You (1994), and Under the Tuscan Sun (2003), as well as being mentioned in the 2009 musical film Nine in the song "Cinema Italiano". Positano is also the setting for the romantic adventure novel, "Finding Positano, A Love Story" (2010), by William James. It also hosts the annual Cartoons on the Bay Festival, at which Pulcinella awards for excellence in animation are presented.